National Day of the Deployed – This Sunday! First of all, we want to start this post off right. To all the brave men and women of the United States Armed Forces who are currently deployed, or have been, we want to salute you and thank you for your service, your sacrifice and your example. The United States of America remains the greatest nation on Earth in no small part because of the sacrifices that men and women have made through their military service. HOOAH! All of us at Forward March Inc. wish to honor and give a hearty THANK YOU to every one of the brave men and women who have been deployed. The sacrifices of our military often go unnoticed by the media or the public at large. We would like to encourage everyone to make sure to remember our deployed service members. Take the time to reach out and thank them. If you know someone, work with someone or have a family member that has been deployed then pick up the phone, email or write them. Let them know that their sacrifice and service to their nation is appreciated. Many organizations have taken to the campaign of wearing red on Fridays to remember the deployed. Soldier’s Angels has a nice write-up on this here. Other R.E.D. communities on line such as the R.E.D. community on Facebook can be found here. October 26th is officially the National Day of the Deployed. The idea for the day started with Shelle Michaels Aberle who approached the North Dakota Governor John Hoeven for an official proclamation for the day founded the day in 2006. In 2011 Senator John Hoeven led the efforts and co sponsored S.RES.295 for a National Day of the Deployed. The resolution was passed unanimously on the 18th of October, 2011. 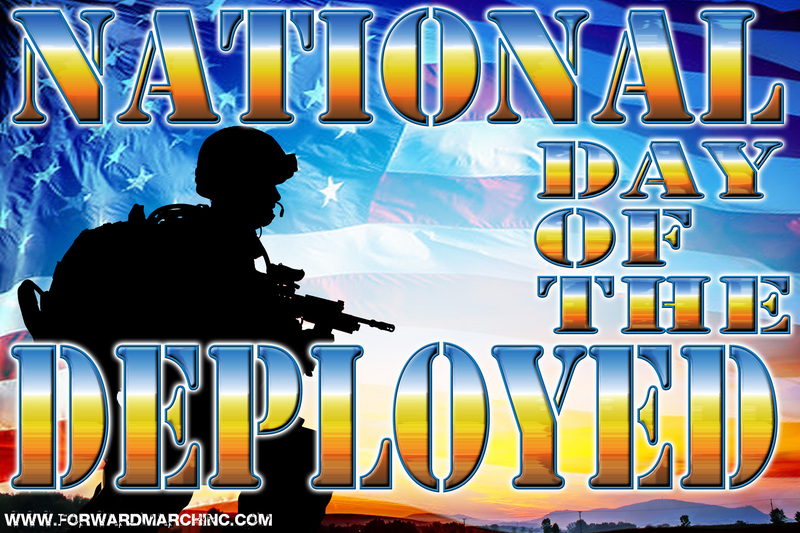 2012 marked the first year that the nation observed a National Day of the Deployed. One way that you can honor our national treasure, our heroes, is to employ them. If your company or organization wants to know how to go about employing veterans and transitioning military personnel contact us today! Also, come see us at our Corporate to Camouflage Conference and/or our FREE Veteran Employment Transition Networking Event. This entry was posted in HOOAH! and tagged active duty, active duty military, air force, army, coast guard, combat veteran, forward march inc, hooah!, marine corps, marines, military hiring, military service, national day of the deployed, national guard, navy, r.e.d., r.e.d. 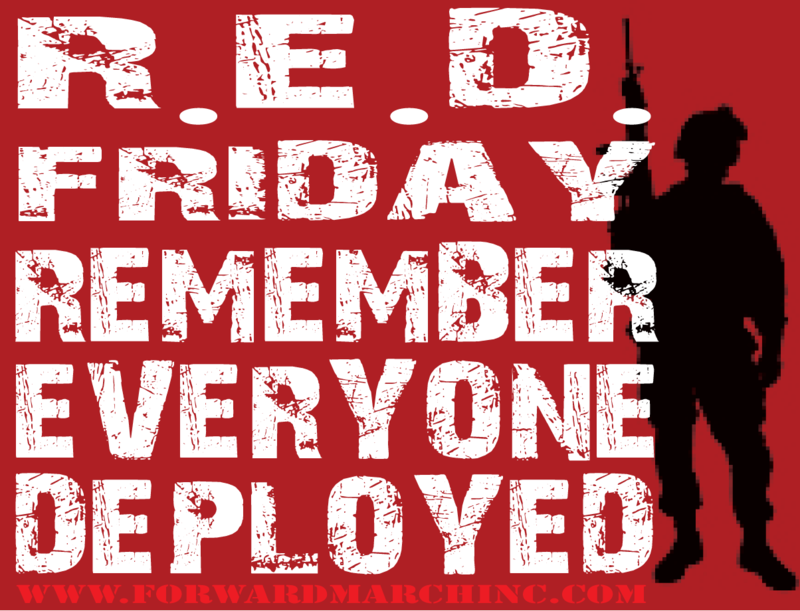 friday, remember everyone deployed, reserves, san antonio, service members, texas, transitioning military, united states armed forces, veterans by Forward March Inc. Bookmark the permalink.